lots of money, lots of friends. Spring is in the air, the earth is getting greener, it's a great time for Plenty O'Beer and Irish Cheer. 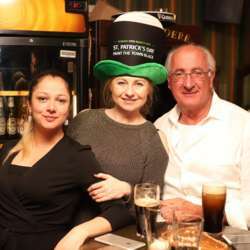 Lot's O'Luck will come your way, if you can join us for St.Patrick's Day on the 16th of March in Newcastle Pub No.1! There will be a DJ Performance, so we can dance untill our feet catch on fire!!! 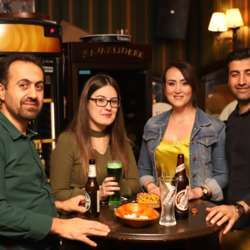 I want to remind you an Irish saying; "An Irishman is never drunk as long as he can hold onto one blade of grass to keep from falling off the earth." So let's come together to dance and to drink Guinness and some magically delicious Green Beer, just like an Irishman. 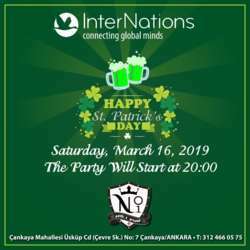 🍺☘️🍺☘️🍺 Please don't hesitate to invite your friends and don't forget to sign up! Put your green clothes and bring your charms to our party. May your heart always be full of love and may your glass never be empty!